Snakes can have over 300 pairs of ribs. Snakes turn "blue" before a shed. This opaque change to the skin is actually due to the presence of a lymph-like layer of fluid between the old and new skins, prior to the shed of the old skin. A snake's heart can slide 1 to 1 1/2 times its length from its normal position, to allow the passage of swallowed prey. This is because of the relative mobility of the pericardial sac, which surrounds the heart. Snakes move by relaxing and contracting muscles lengthwise along the body. Sidewinding is a specialized form of motion that allows a snake to travel with speed and relatively little expenditure of energy along loose desert sand. The snake lifts a loop of its body from the surface, using its head and tail. The loop is moved sideways and then back to the ground. This creates the typical series of unconnected parallel tracks. There are around 3000 snake species in the world, and about 375 of these are venomous. From enormous ones like the python, which can swallow animals as large as a deer whole, to snakes that are just a few inches long, snakes can be found in all types of habitats. While some climb trees, others live underground, and still others are found in the waters of lakes and even seas. Given below are some more fascinating facts about snakes. Snakes are reptiles that have an elongated body that is flexible and limbless. The shape of the body of snakes is dependent on the habitat they live in. For example, snakes that burrow underground have a tendency of being more compact, whereas the types that live in trees tend to be slender and long equipped with a prehensile tail which they use to grasp branches, while the body of aquatic snakes is generally flattened. Snakes occur in a large variety of colors, ranging from dull to brilliant hues with striking patterns. Snakes that have dull coloring use it for camouflage, while those that are brightly colored are usually poisonous. They use their bright colors to warn predators to stay off. Some non-poisonous snakes mimic the patterns and bright colors of poisonous snakes to fool predators. Snakes occur practically all over the world, apart from places like Greenland, Iceland, and Antarctica. However, it is in the tropical regions of the world that most snakes are found. Like all reptiles, snakes are cold-blooded, which means they do not have the ability of generating adequate amounts of heat in order to keep their body temperature at a constant level. Instead, they are dependent on the heat from their surroundings and the sun to control the temperature of their body. This is the reason most snake species are found in the humid and warm climes of tropical regions. Another interesting fact about snakes is that they need to shed their skin regularly while they grow, a process known as molting. Snakes shed their skin by rubbing their head against something rough and hard, like a piece of wood or a rock. This causes the skin, which is already stretched, to split open. The snake keeps on rubbing its skin on various rough objects, resulting in the skin peeling off from its head, enabling it to crawl out, turning the skin inside out. Snakes do not have any eyelids; instead, a transparent scale protects their eyes. Also, they are deaf to airborne sounds, and they ‘hear’ by picking up vibrations through their jawbones. Plus, snakes use their forked tongue to smell. 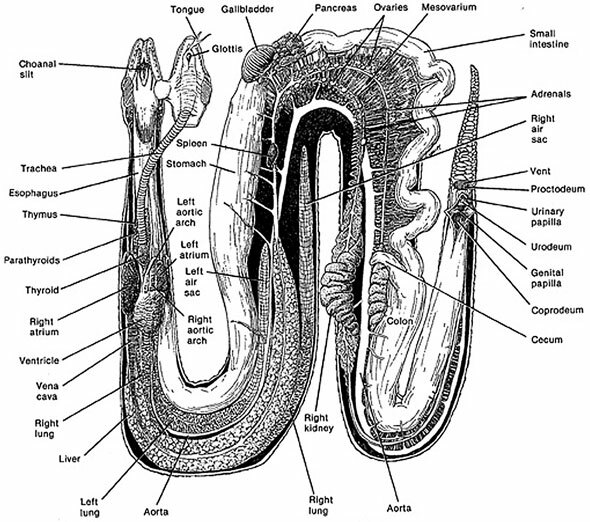 The tongue gathers particles that are airborne which it then passes to the Jacobson’s Organ, a specialized organ located on the roof of the snake’s mouth. Snakes have the unique ability of swallowing prey three times larger than their mouth. They can do this because the special tendons located in their mouth are highly stretchable and because the two halves of their jaws are not attached to each other rigidly. Snakes have more than 200 teeth, which they do not use to chew, since they point backwards, but bite and grip their prey securely.